That is great information. I have a lot to do on my Polish relations past 100 years ago. I am complete facitated by your website. My great grandfather's name was Joseph Golonka. He was born in 1871 or 1872. I believe that his naturalization papers list that he is from Dombrowa, Poland. ( Galecia) I am traveling to Poland in a few weeks and am convinced ( from your website info) that I need to visit and Ancestry.com that I need to visit some cemetaries in Nowy Sacz. Even if it is just to find any headtsone with Golonkla on it. I am very hopeful that i could connect my Joseph Golonka to your Joseph Golonkas with the hope that the youngest is his father but I am lost. Do you think I should keep looking? I can't seem to find my great grandfather's parents or sibling names. Do you have any ideas? FYI....I am a resident of Green Bay, Wisconsin and my mother was Violet Golonka and born in Sobieske, Wisconsin. My grandfather was Bernard Golonka also born in Sobieski. Thank you for reading this! Hi Dayton. Glad you found my page. I googled the town of Dombrowa, Poland and wikipedia says that that could be the German name of Dabrowa Gornicza. 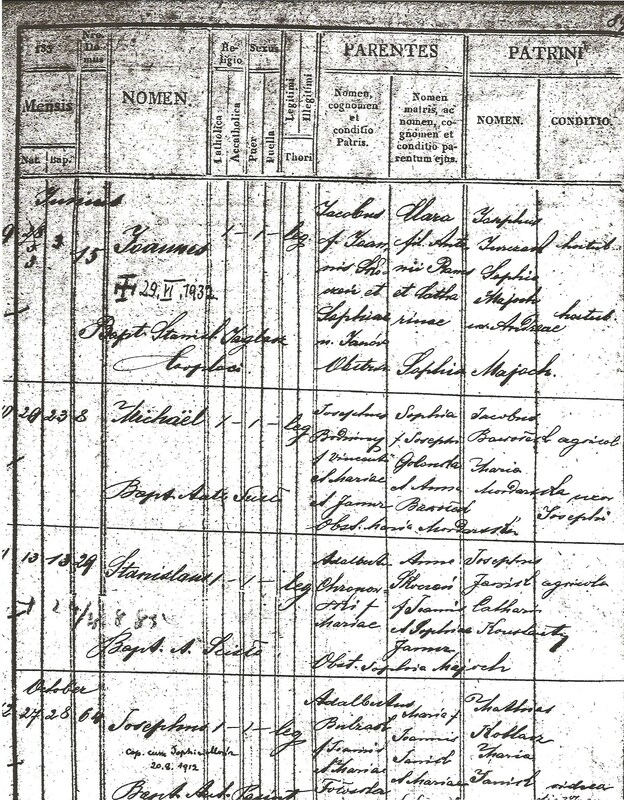 The Family History Library in Salt Lake City has a microfilm for this area that you can order to look for your great-grandfather: https://familysearch.org/search/catalog/results?count=20&placeId=66144&query=%2Bplace%3A%22Poland%2C%20Katowice%2C%20Go%C5%82on%C3%B3g%20(D%C4%85browa%20G%C3%B3rnicza)%22⊂jectsOpen=613368-50 I am not aware of any of my Golonka ancestors coming to America (they may have, but I haven't found them yet), but all of my Polish relatives settled in Cleveland, so I sort of doubt there is any close relation between your Golonkas and mine. Thanks!